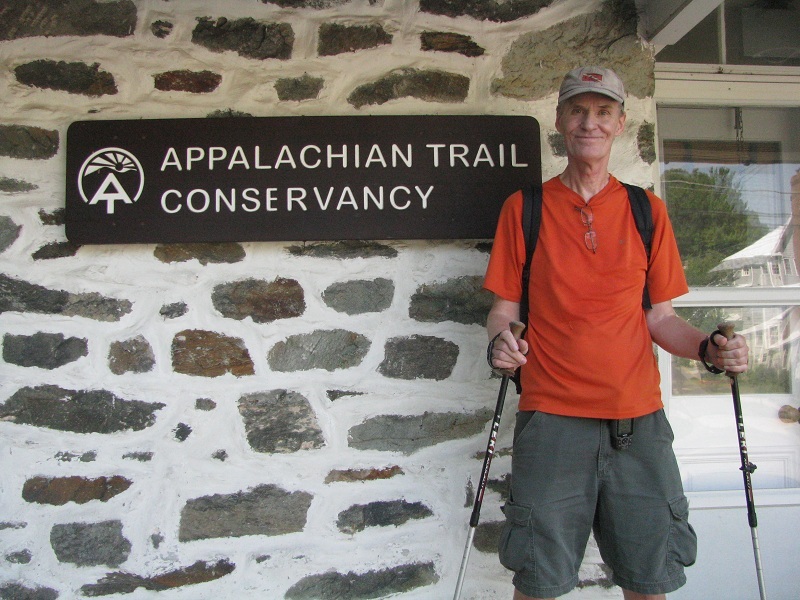 After hemming and hawing and hiking a big section of the AT, I'm taking the leap, deciding today to do a 2012 through hike (all 2000+ miles during a single calendar year). One of the things lots of hikers do is keep an on-line journal. So consider this the first entry! Here at the beach in North Carolina, it's been a rainy dreary weekend, so I've had lots of time to consider this move as beach season comes to an end. I've been regularly hiking the beach since moving here from Maryland in late July, so I'm already in good shape. I hike 8 to 15 miles every day, and have traversed this entire island (26 miles) in sections sixteen times since I moved here. Starting date: January 1, 2012 at Springer Mountain, GA.
Will take many 'zero days' during the early season to avoid spells of bad weather and deep snow. I have lots of cold weather gear from my mountaineering expeditions to South America (photos can be seen on my Facebook page) - that's one of the reasons I can start early. I'm a purist. Many AT hikers take short-cuts, do what's called 'slack packing', even hitch-hike past sections of the trail. But I plan to 'pass every white blaze' and visit every shelter as I've already done during my section hike of the AT from southern PA to the James River in VA.
One of my planned training activities will be to connect my 'personal continuous footpath' from here at the beach to the AT where I left off at the James River. That's about 300 miles of hiking. I've already walked to the AT from the Maryland condo where I formerly lived. Ultimately, I intend my Personal Continuous Footpath to connect all the places I've ever lived (had a mailing address). More on that in other posts. This is one of my 'bucket list' items that has snuck up on me. It isn't something I ever considered a high priority, but the lure keeps nagging at me, and won't go away. I'm old enough to know that, for me, the only way to get that nagging 'voice' to shut up is to just do it! My other ongoing and active bucket list item has been novel writing. In some sense I accomplished that by self-publishing a full-length novel. But that novel was only the first third of the entire story I want to tell. Before I finish that full story, I hope to get some positive feedback on the work by submitting it to an upcoming contest -- Maryland Writer's Association novel contest -- for consideration. I'll be preparing the submission to that contest, which has a due date right at the beginning of 2012, then will be off to the Appalachian Trail while I await that feedback. I am not surprised to find a kindred spirit whose path I walk: side by side in space, if only separated in time by 8766 hours, give or take a few to account for our differences in phase and disposition. See, feel and smell the same mountains, rocks, moss, forest, but perceive entirely different stories. I will feel your presence there, only a few foot-hours apart and only a few foot-hours apart.